The love of Faruk and Süreyya turns into suffering. Faruk and Süreyya go through difficult moments. Süreyya is doing a car accident! Will love between Faruk and Süreyya end or be reconciled? 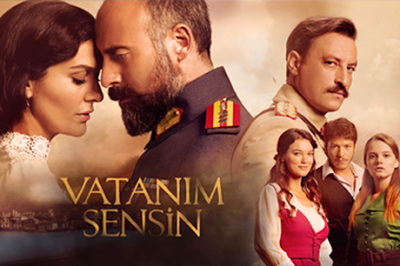 Bride of Istanbul, episode 21 is expected with great emotion by the fans of the tv series. Because at the end of Episode 20 of the Bride of Istanbul series, Süreyya and Begüm (Faruk's ex-girlfriend) faced each other. The two women met when Süreyya gathered the rest of the stuff and went to the mansion to face Esma Sultan. Sureyya's confusion about Faruk ended with a phone call from Can. The Emir child finds out who his real father is! Faruk and Begum have decided to tell Emir that his real father is Faruk. But the kid's reactions are not exactly like the family's expectations. Emir is devastated by the fact that Faruk knew the truth for several months, but had not told him and ran to Sureyya. Sureyya surprised to see the child alone, has a very emotional conversation with Emir, but she does not talk badly about Begun, although it is very hard for her to deal with the problems that marred her marriage. Faruk comes to take Emir, and before leaving follows an unimaginable scene, and Sureyya watches as they hugs. Sureyya returns Faruk money back for divorce and tells him that she is moving to Istanbul. She's looking for a place to sit and make a deal with Can to play with him. Esma dresses in the best dress makes her hair and makeup to meet Galip and hosts him at the mansion. He informs her that the decision was made to expose her husband's grave. Esma becomes emotional in the presence of Galip, who asks her if she feels good, and she is bewildered and begins to quarrel with him. On the other side, Osman is at the dinner with Galip's daughter and everything goes well. 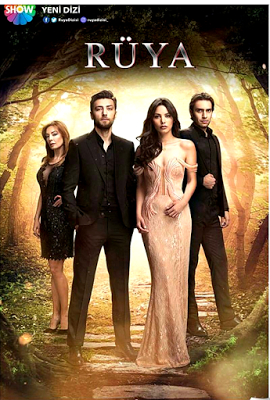 But one-day ignorance between families is ruined when she goes to take her father from the mansion and meets Osman. At the manor is preparing for the birthday of Esma Sultan, who is 60 years old. She receives from Galip a gift in which she is a small carved woman in wood. On divorce day hearing in court, Sureyya borrows a car from her girlfriend and she has an accident on her way to court, and her consequence will make her see things differently. In court, Faruk waits, and Sureyya gets there wounded on the face because of the accident. In court, Sureyya tells the judge that she does not want to divorce! Faruk is on the verge of happiness and exciting when he hugs his wife noticing she is hurt, but she makes him sure that she feels good. With tears of happiness, they look at each other and caress each other. In Episode 22, Faruk and Sureyya go to the mansion where Sultana Esma's birthday is celebrated and it will be a shock for those there to see them again. Begüm tells her son that Faruk is his real daddy. Because Süreyya suffers a lot and is very confused, on his way to the court she is doing a car accident. Bride of Istanbul ,episode 21 is expected with great emotion by the fans of the tv series. The love of Faruk and Süreyya turns into suffering. Faruk and Süreyya go through difficult moments. Süreyya is doing a car accident! Will love between Faruk and Süreyya end or be reconciled?